We use computer software to record the “who, what, where, when, how” of the property. Of these factors, the how is arguably the most important. We need to know, for instance, what scope of work your current commercial landscaping contractor is providing. This is the only way we can give you a fair “apples to apples” quote. If we don’t know this information, it could throw off our quote, give you inaccurate numbers, and ultimately cost us the job. This is the reason we often lob a bunch of questions at you right off the bat. All of the information you provide will help us give you a fair quote. When you answer these questions, honesty and detail will ensure you a more accurate commercial landscaping bid. Our expert estimators have extensive experience in the commercial landscaping industry.The estimator takes all of the answers you’ve given us, plus the information we’ve gathered on our own, while applying deep knowledge of commercial sites in Northeast Ohio. 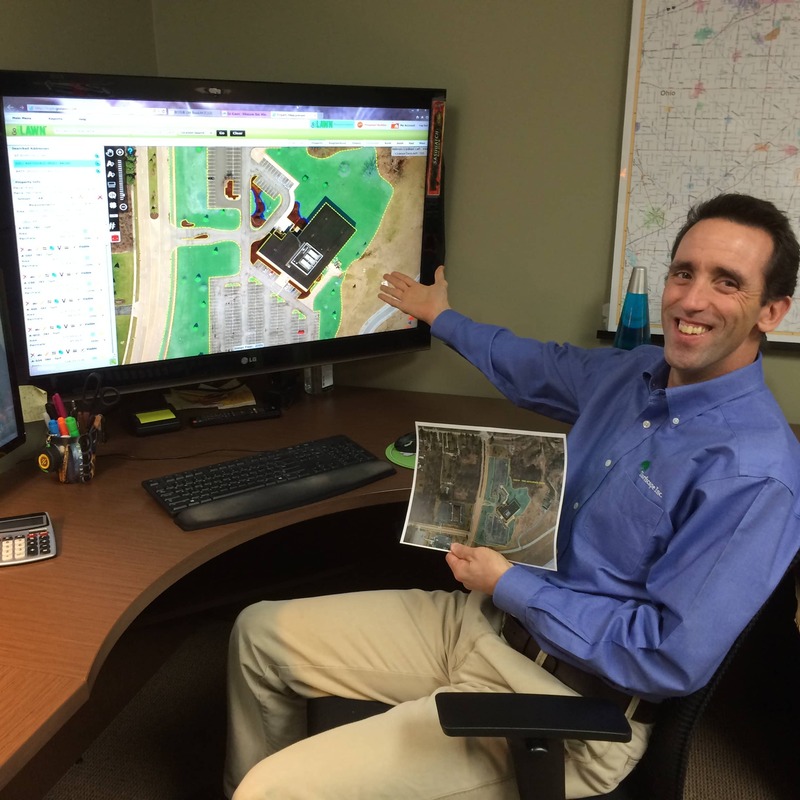 Measurements of your site are made using satellite imagery, but if any questions arise that can’t be answered by that imagery, the estimator will make an in-person visit. Inputting all of this information into our production spreadsheets and software helps us translate everything into an accurate scope of work, including the number of hours required for your commercial landscaping needs. Our sales team reviews the scope and prices, then inputs all of this information into a tracking system before reviewing it with you. The entire process can sometimes take a week or two, but this is time well spent on our end. It also translates into the best deal for your precise commercial landscaping project. If we try to shortcut this process—which can often take up to 10 man-hours for us—we might end up wasting your time with invalid quote information. If this sounds overwhelming, it shouldn’t! We have our process dialed in when it comes to providing commercial landscaping quotes. We’ve been doing this a long time (almost three decades), and we’re good at it. All you need to do is give us your best answers when we ask initial questions. Honest and detailed information will help us give you the most concise and accurate bids, and ultimately make your job easier… and your bottom line lower.